Last week, fans were shocked to see that Connor Hawke (Joseph David-Jones, first seen in the role on DC's Legends of Tomorrow) reappear in the "real" continuity. ComicBook.com can now exclusively report that David-Jones has joined the cast as a recurring guest for the rest of the season. Also of note: Arrow will seemingly make a major change to Connor's character as we know him. In the official character description, provided by Warner Bros. Television, Hawke is described as "John Diggle's adopted son and friend of Mia who is hiding more secrets than it appears." That "adopted son" thing might stick out at you a little bit, since in his Legends appearance, Hawke was actually Diggle's biological son, John Junior. Shortly after that episode aired, The Flash rewrote history with "Flashpoint" and John's daughter Sara was suddenly a son, again named John Diggle, Jr.
Technically, the dark and violent timeline of "Star City 2046" was erased when the Legends won the day -- although between Zari's timeline and the one currently being seen in Arrow's flash-forwards it does not particularly seem like a huge improvement was made. As a character who is "hiding more secrets than it appears," there could be a number of possibilities for Connor's character. He could, as he was in the comics, somehow turn out to be the child of Oliver Queen. Given the fact that he and Mia found themselves in the Arrow lair at the end of last week's episode, that would certainly resonate. More likely but along the same lines, is that he could secretly be Diggle's biological son rather than an adoptive one. It is not clear why he would lie about that, if so, but anything is possible. Another possibility is that he is simply hiding the fact that he is the Green Arrow. This would certainly be something that would not endear him to the vigilante-hating Mia. Since he was Greeen Arrow both in the comic books and in the "Star City 2046" episode, that seems perhaps the most likely of these three options. 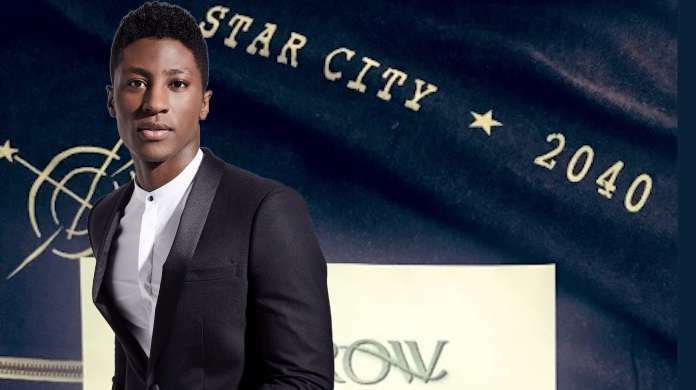 We will have to wait a while to see, but the upcoming episode "Star City 2040" seems like a good place for some of those secrets to be revealed. "We're gonna pretty much answer I think almost everything this season," teased showrunner Beth Schwartz during a recent conversation with ComicBook.com. "A lot of those answers are gonna happen in the next few episodes, and then we have an all flash-forward episode in 16 where we're really gonna dive in deep to the characters and answer mostly everything we set up in the first half."